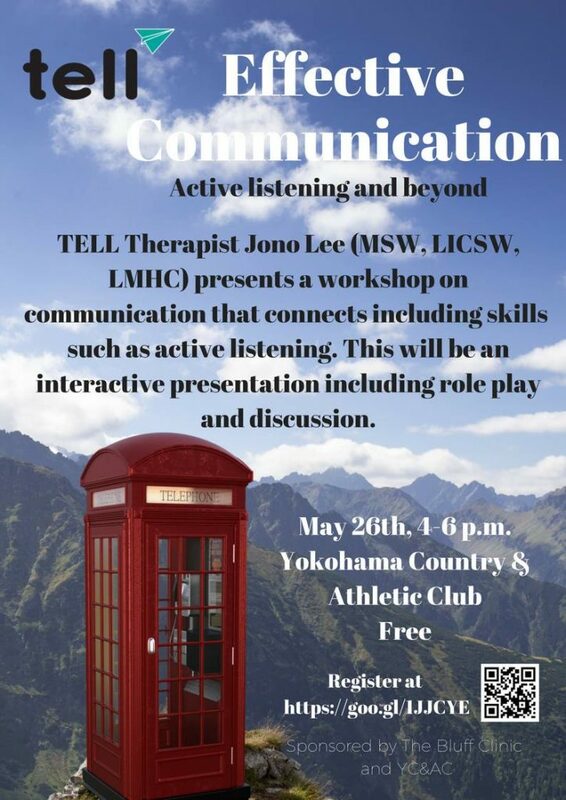 TELL Therapist Jono Lee (MSW, LICSW, LMHC) will present a workshop on effective communication, including active listening. This will be an interactive presentation including role play and discussion. Free and open to the public. Please register at the link or RSVP to outreach@telljp.com. Proudly sponsored by The Bluff Clinic and Yokohama Country & Athletic Club.